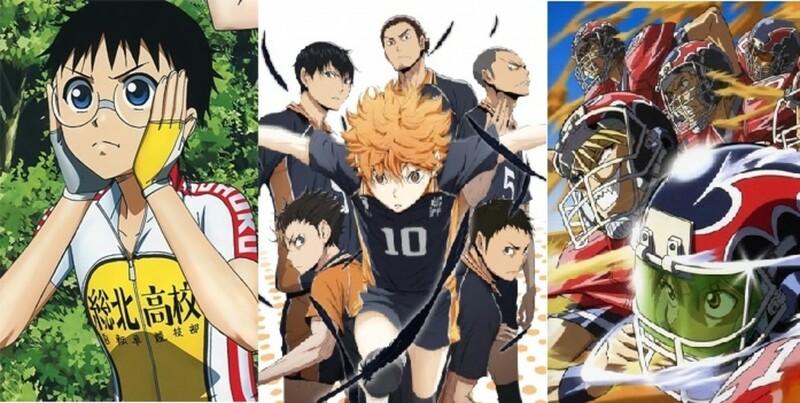 I am an anime fan, obviously. I dabble in D&D4e, listen to heavy metal, and am hopelessly addicted to Final Fantasy Brave Exvius! 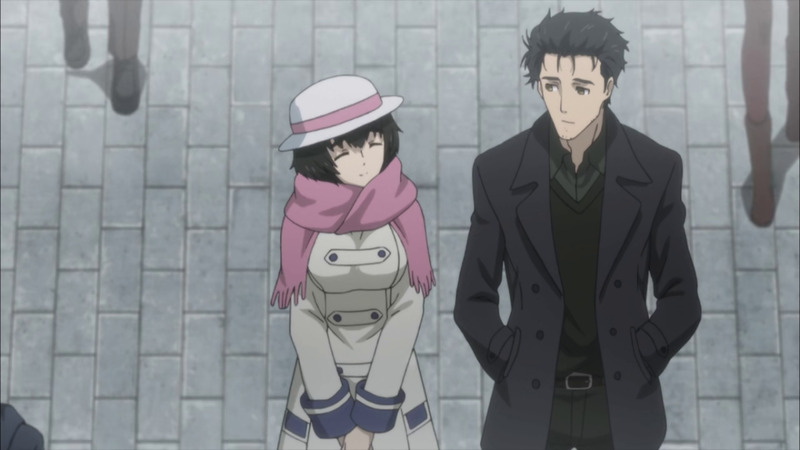 Okabe, subdued and plagued with regrets, walks home from university with Mayuri. Summary: Okabe Rintarou has failed to save Makise Kurisu from her fate. The dazzling future known as Steins Gate is out of reach, and Okabe has become too despondent and too broken to continue on that path. And so, he resigns himself to acceptance--of his failure, and of a world where Kurisu no longer lives. Okabe has abandoned his mad-scientist play-acting, attends college seminars regularly, and bleakly attempts to lead a normal life. But a chance encounter with Hiyajo Maho, a fiery young scientist who worked alongside Kurisu in the United States, changes everything: After Okabe delivers a passionate speech about the possibilities of science at a demonstration of a new state-of-the-art AI called Amadeus, Maho treats him to a little surprise--the experimental Amadeus AI system contains memory data from Makise Kurisu, and aside from the fact that it was created before Okabe had ever met her, she's indistinguishable from the real thing. Maho and her flamboyant Swedish professor, Dr. Alexis Leskinen, propose to allow Okabe to speak with the AI to better test its authenticity and stability. 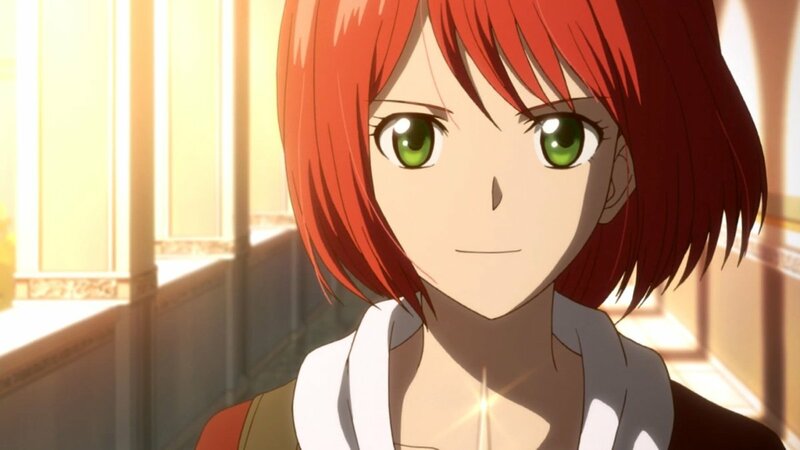 Will this Amadeus spur Okabe into action, to reach Steins Gate once and for all? Or will it be an anchor that drags him further down into the pit of his own making? So...how did I end up here? When the Steins;Gate anime first dropped back in 2011, I, already operating as I do now, awaited its completion before marathoning, for its word-of-mouth was exceedingly good, and I was ready to experience something full of hype. 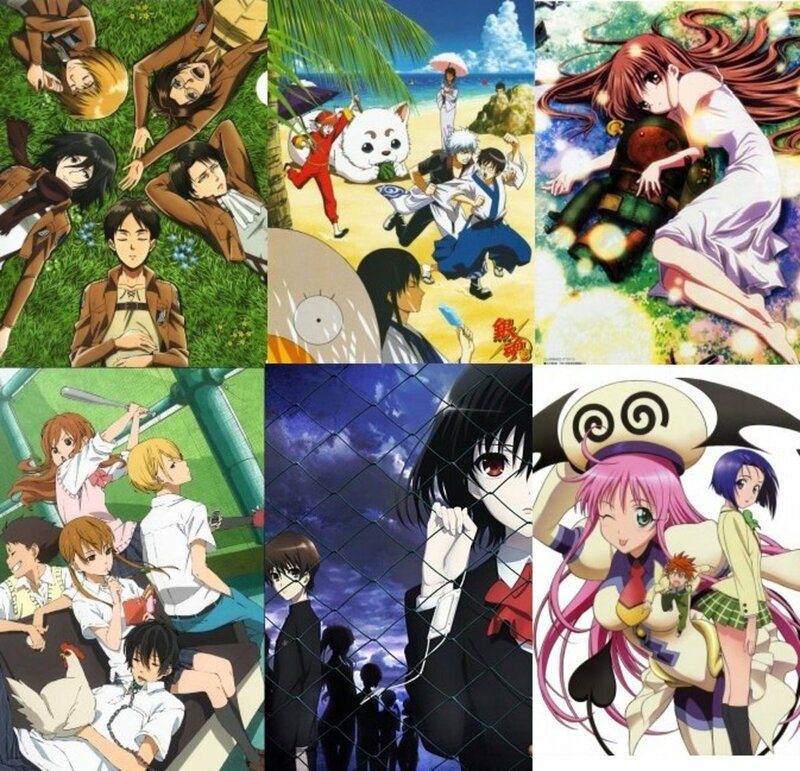 And when I finally watched it and my brain was exploded by the series' sheer complexity and quality eclipsing the hype, it spent a good, long time on my favorites list. It may have fallen to 11th place now, 7 years later, but even my runner-up list is one of prestige and home to only the very best. So, when Steins;Gate 0 was announced back in 2015, as an all-new visual novel to precede and provide new original source material for a then-upcoming anime series, I couldn't have been more excited. More time with the lab members, you say? Sign me right the hell up! And now, mere weeks after the final episode has aired, I can safely say the knife twists hard when firmly implanted in one's back. Get ready, folks--I am the internet hate machine, and I have been personally affronted. 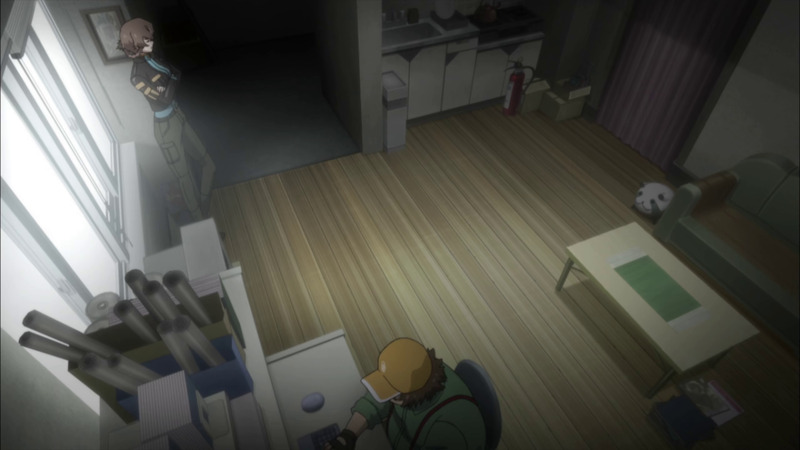 Daru and Suzuha work tirelessly to formulate the time machine that Suzuha arrived in. Where does Steins;Gate 0 succeed as a follow-up to the original? As with its predecessor, I will comment briefly that the artwork in Steins;Gate 0 is very slick and very appealing, very reminiscent of the now 7-year-old original series in its use of lighting and color scheme. Watch the two series side-by-side and, at first, you'd be forgiven for forgetting about the several year gap in between. You'll notice I included the phrase "at first." More on that later. 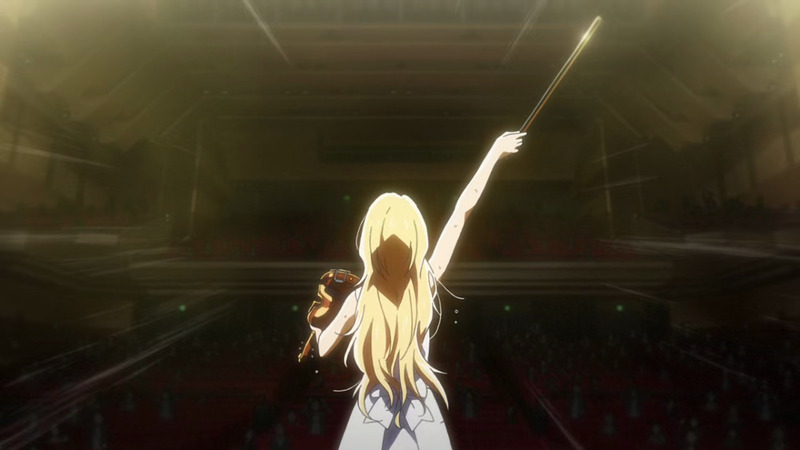 I've also gotta compliment a few of the new theme songs, from the emotionally-intense opener "Fatima" and the occasionally-used insert song "Amadeus," both by the immaculate Kanako Itou, who can frankly do no wrong at this point. But let's get right into it: Steins;Gate 0 tells a tale of what happens when episode 23 of the original series takes a left-hand turn--instead of picking himself back up and going to try to save Kurisu one more time, Okabe folds under the weight of his despair and loses all hope of ever reaching the so-called "Steins Gate" world-line, where the horrible future that looms overhead never comes to pass and where both Kurisu and Mayuri avoid their tragic fates (which is where the original series went, spoilers bee tee dubya). This series, thus, takes a darker path and leads us down a plotline rife with grim reminders of horrors past and future. Because of its premise, Steins;Gate 0 is able to go in some bold and interesting directions and explore new ideas, just as the original did. In that way, this series feels just as fresh and unpredictable. Even though it's not--more on that later. 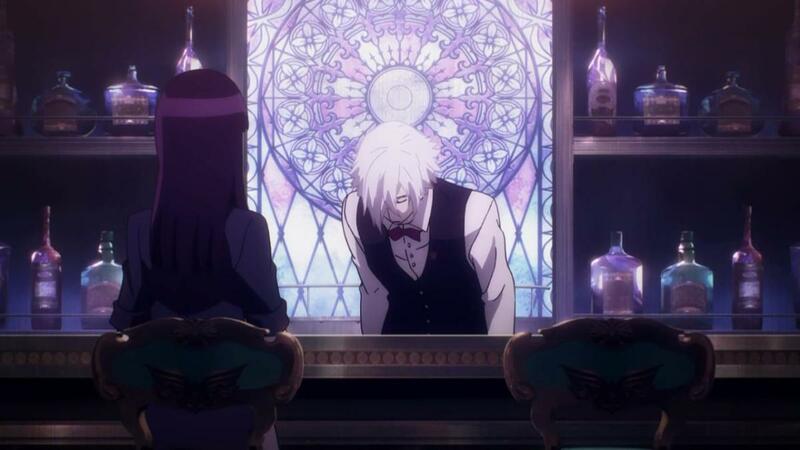 But nevertheless, there are concepts such as the AI, Amadeus, who has been implanted with Kurisu's memory data. The interactions between Amadeus Kurisu and Okabe are just as raw and tragic as you would expect them to be, and while this idea does overstay its welcome--more on that later--some of the best moments in the franchise come during those lonely conversations between Okabe and Amadeus Kurisu. Another thing I felt like the series did exceptionally well was furthering the character of Mayuri. Mayuri has always been my favorite character in the Steins;Gate universe, because she's just so damn cute and gentle and personable and literally impossible to hate if you have a heart, but because of the original series' plot developments, she never got much of an arc. Steins;Gate 0, on the other hand, gives her plenty to work with, and the absolute highlights of the series are those moments where Mayuri is allowed to shine and burst forth and establish her own heavy emotional character arc, perfectly encapsulated by the wish she writes for Tanabata. It's beautiful stuff, man. 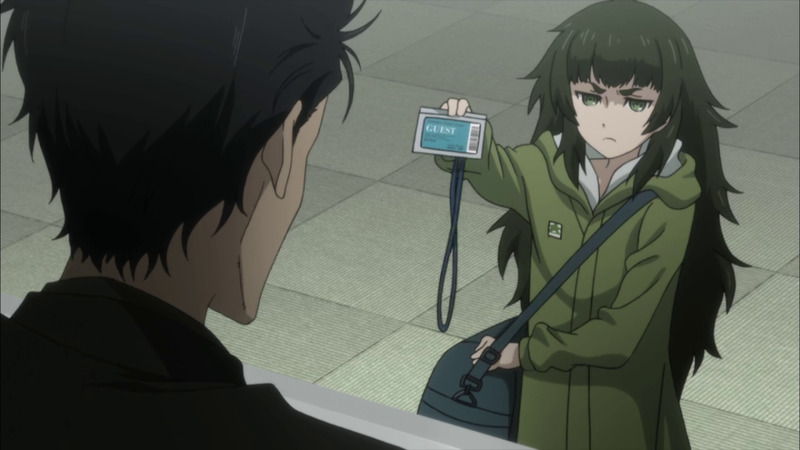 Maho, short in stature and in temper, tries to convince Okabe that she's not a lost child. ...And where does Steins;Gate 0 fall back into the dreaded alpha world-line? With the exception of its masterful evolution of Mayuri's character, Steins;Gate 0 is vastly inferior to the original series in every way possible, almost to the point of insult and very nearly to the point of parody. Buckle up, folks--there be spoilers ahead. Major spoilers, with sharp, pointy teeth. You have been warned. First off, we come back to the series' aesthetics. I mentioned before how the artwork looks great and is faithful to the original series, but that's only the artwork--the animation took a huge hit in quality and frequency, exemplified by the many, many action scenes (that exist, for some reason) and the laughable direction and execution thereof. Speaking of direction, Steins;Gate 0 has none. The familiar bombast and creativity of the cinematography we knew and loved is gone. Hope you like still shots, panning shots, and shot-reverse-shot dialogue scenes! Maybe once or twice an episode we get an unorthodox camera angle, and maybe a grand total of five times over the entire series we'll get a trippy visual or a drizzle of the old bombast, but it just doesn't compare. All the style and oomph of Steins;Gate is gone. Alright, whatever, style is just style. Nevermind the fact that style can inform and infer many things about a narrative, but let's begrudgingly move on. Then we meet Maho, who seems at first to be a fun addition to the cast, along with her professors Reyes and Leskinen. But as the series progresses, all three of them fall apart on a structural level: Maho, your brain soon realizes, is literally Diet Kurisu--hell, it's even part of her character arc!--because she is literally the same archetype that Kurisu is, and her whole story is about how she's the Salieri to Kurisu's Mozart, which by itself is a clever concept, but she's just standing on the shoulders of a similar, better-executed version of herself. Reyes barely exists, so she's a big fat whatever. Professor Leskinen...I took one look at this guy and audibly said, "Are you f(ork)ing kidding me? He's clearly evil!" And a cookie for me, because he is. If you were somehow fooled by this man, I don't know what to tell you. Sure, he seems fun and meme-y, but come on! His eyes are always cast in shadow and he has Stereotypical Chiseled Villain Face syndrome! He's clearly kicking puppies off-screen! But hey, we can at least fall back on Okabe's interactions with Amadeus Kurisu for some good old-fashioned feels. And it works. At first. Before the 50th time they have the same awkward conversation. And before Okabe hesitates to delete her data for a possibility of saving the real Kurisu because "It'll be like you never existed at all!" and oh my God this guy is supposed to be intelligent why would you even write this garbage and shove it in his mouth. Do I even need to include mention of the many ridiculous action scenes that take place before the dystopian nightmare future? How Suzuha is now somehow able to take out an entire squadron of heavily-armed SWAT-looking dudes when the most blood-pumping action scene in the original saw Suzuha take out maybe 2 guys and get stalemated by one person with a gun? Do I even need to elaborate on how utterly farcical the attack helicopter sequences are? And when Okabe is "reborn" and puts back on the mantle of Hououin Kyouma, we're supposed to take this as something triumphant? Did we already forget that the whole mad scientist schtick was self-destructive, and its final nod in episode 23 of the original series was less a celebration of it and more of a send-off? Ugh. I haven't even mentioned the subplot with Kagari, which should have been a humongous plot point back in Steins;Gate if it was meant to have always been a thing. Not only is Kagari the most boring character imaginable--oh noooo she has amnesia, oh noooo she's a war orphan, oh noooo she has arrested development, oh noooo she was a sleeper agent for the super-secret bad guy whose identity we totally don't know--but she's teased to be somehow related to Kurisu, with Okabe mentioning that she looks too similar to be coincidence, but nothing ever comes of that idea. A lot of build-up for no pay-off. 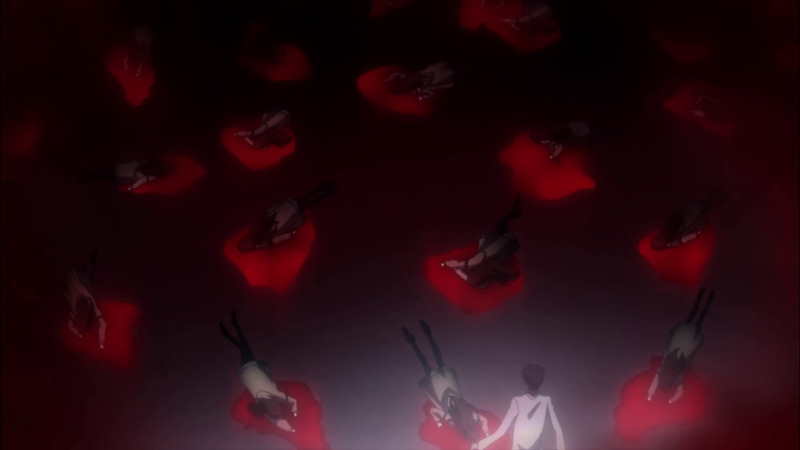 Okabe frequently relives the horror of his failure to save Kurisu in his nightmares. Yikes! So, uhh...w-was it good...? No. Steins;Gate 0 was not good. While I can't vouch at all for the quality of the visual novel, which may very well be superior to this adaptation for all I know, the fact remains that I am dramatically disappointed with this series. At first, I tricked myself into thinking I liked it, but the more I thought about it, the more frustrated I got. Lindsay Ellis' recent "Thanks, I hate it!" meme comes to mind. I don't know how we sunk so low here. Steins;Gate may have had a few head-scratcher moments, but on the whole its writing was tight and clean and remarkably engrossing. Steins;Gate 0 is none of those things. It features only moments of greatness (mostly revolving around Mayuri) floating in a sea of mediocrity and lazy writing--neither of which should exist in this franchise. If you're a fan of Steins;Gate, for the love of all that's good and holy, avoid this like the plague. It is not good. Maybe the visual novel is better, so go read that instead, but this anime is not worth your time. 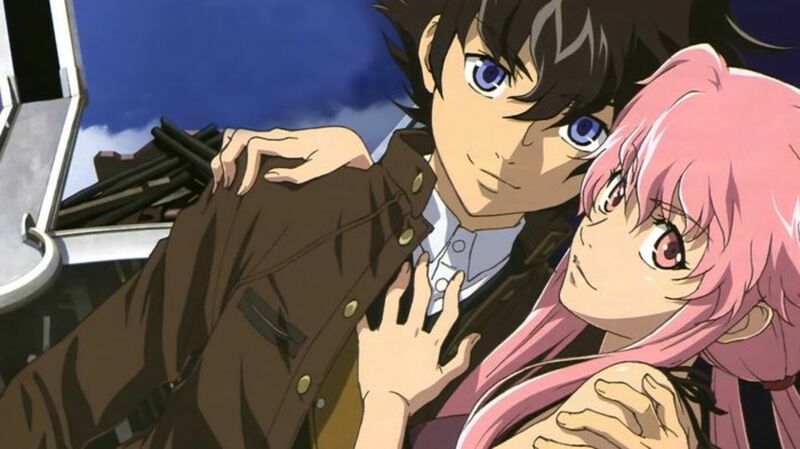 It may not be the worst anime ever made, but it's a dreadfully mediocre follow-up to one of my favorites, and that's almost worse than being bottom-of-the-barrel. Final Score: 4 out of 10. Steins;Gate 0 fails to live up to the original, seeming like a worthy successor at first until it collapses entirely under the weight of even the most minute of scrutiny towards its poorly-realized new concepts, flimsy new characters, and catastrophic handling of what should have been the most harrowing chapters in the story. Steins;Gate 0 is actually really bad. Nah. As a sequel/midquel, it focuses on all the wrong aspects of the original and mishandles most of the cast while eschewing the bombastic direction that made the first series so visually engaging. On its own merits, it's a slow-moving slog that spends most of its time going nowhere and its second half is full of ideas that should be interesting (3000+ time leaps, apocalyptic future, etc.) but are executed poorly. 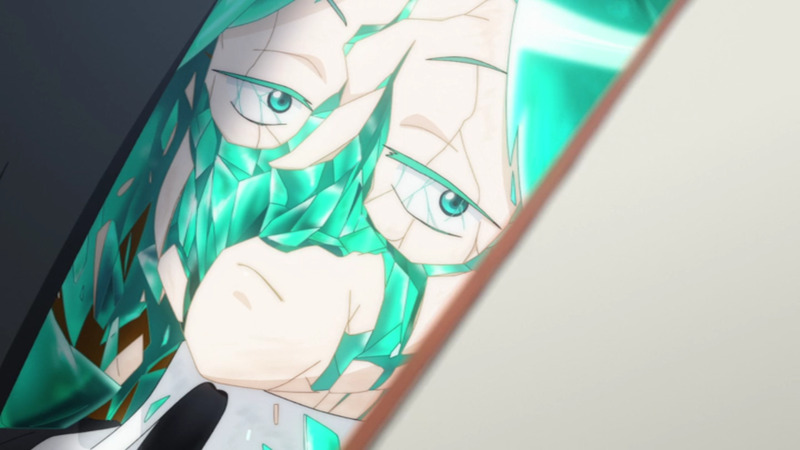 And not only is the villain obvious, but his plan is just dumb and motivated purely by the need to propel the plot forward and not by any consistent internal logic. No sir, I didn't like it. Steins;Gate 0 is actually really good.